Hiện tại có 263 khách và 0 thành viên đang online. 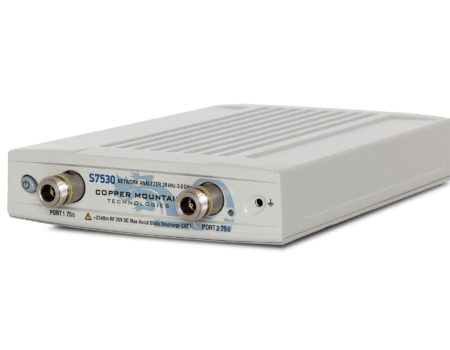 2 model thiết bị phân tích mạng vector (VNA) S7530 và TR-7530 có 2-cổng, dải tần 20kHz~3GHz. Modul căn chỉnh tự động ACM4000T và Bộ kit căn chỉnh F7511. The TR7530 Vector Network Analyzer delivers lab grade performance in a compact package, with all the features engineers have come to expect included standard in our software. This portable 1.3 kg/46 oz. vector network analyzer can be battery powered and used in the field, in the laboratory, and in production testing. The VNA can be integrated into a production test system via Manufacturing Test plug-in. 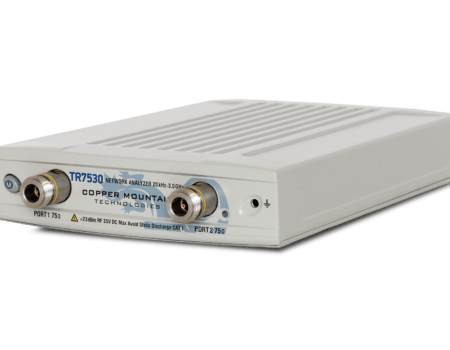 TR7530 VNA includes an RF measurement module and TR software application which runs on a Windows PC, laptop, or tablet, connecting to the measurement hardware via USB interface. TR software can be installed on multiple computers, making it easy to share the use of the analyzer measurement module. Applications of the TR7530 include RF component design and testing, on-wafer probing, field testing, insertion loss measurement, distance to fault measurements, antenna matching, quality control, material measurements, and many others. The TR7530 is used particularly in the broadcasting industry where the standard line impedance is often 75 Ohms. If you want to consult with our engineers about your specific application, please Ask an Engineer. The S7530 Vector Network Analyzer delivers lab grade performance in a compact package, with all the features engineers have come to expect included standard in our software. S7530 VNA includes an RF measurement module and S2 software application which runs on a Windows PC, laptop, or tablet, connecting to the measurement hardware via USB interface. S2 software can be installed on multiple computers, making it easy to share the use of the analyzer measurement module. Applications of the S7530 include RF component design and testing, on-wafer probing, field testing, insertion loss measurement, distance to fault measurements, antenna matching, quality control, material measurements, and many others. The S7530 is used particularly in the broadcasting industry where the standard line impedance is often 75 Ohms. ACM4000T is an automatic calibration module that can be used with all CMT Vector Network Analyzers operating in frequency range up to 4 GHz. 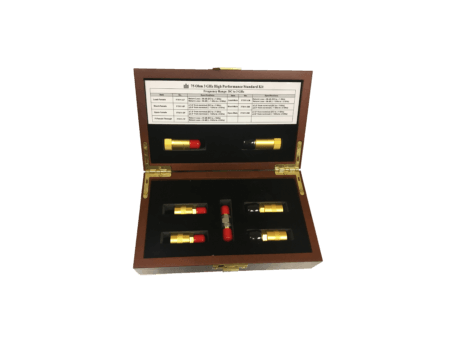 It is a fully automatic USB-controlled and powered electronic calibration module. Minimizing the number of steps required by technicians reduces the risk of human error and expedites the calibration process. Automating the calibration routine also reduces wear and tear on the analyzer and RF cables. To perform full two-port calibration, each end of the ACM need only be connected to the analyzer once, as opposed to seven connections with a traditional calibration. The ACM also contains a factory characterized 20dB in-line attenuator which acts as a simulated device under test (DUT). The confidence check feature loads the factory stored DUT into memory so proper calibration can be verified. If you want to consult with our engineers about your specific application, please Ask an Expert.